This is a short hike on a dirt road in the extreme northern part of the Burlingame Management Area. 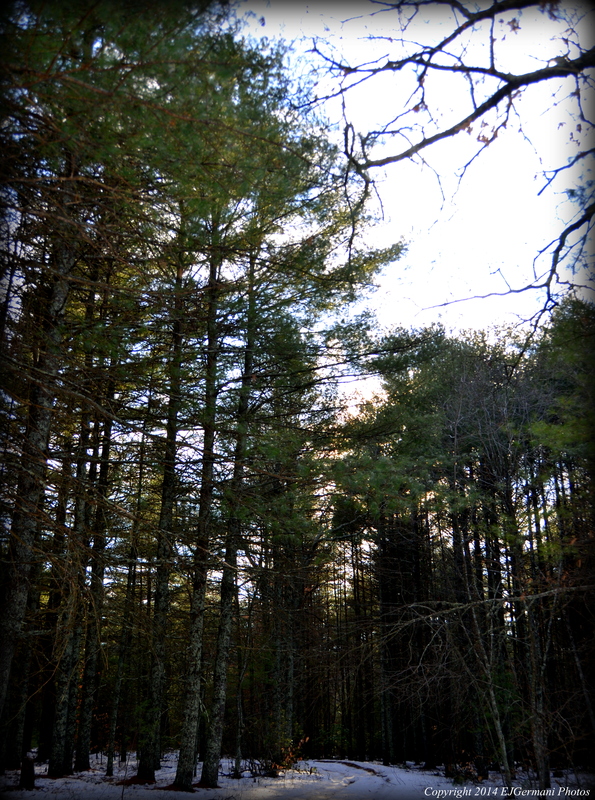 It is an “in and out” hike mostly through a thick forested pine grove. The trail begins from the parking area on Burdickville Road at a gate. At the end of the trail is where the Wood River ends flowing into the Pawcatuck River. There is a small and narrow path you can follow to the riverbank. From this vantage point you are standing in Charlestown, across the river to the right is Richmond, and across the river to the left is Hopkinton. These three towns give the region its nickname of Chariho. I came across several deer tracks in the snow here. Keep in mind this is a hunting area. Be sure to wear orange. There are also a set of trails that run along the power lines if you care to explore further. Trail map can be found at: Two Rivers.